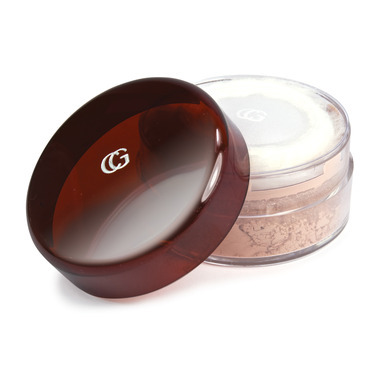 This silky-fine loose powder gives you a smooth and beautiful look, and works to help keep foundation looking just right. For a beautiful finish, and a soft, translucent look, this is one powder that's a real pro. Noxzema smell alert. I enjoy it but if you don't I'd avoid it. It's a nice size and i's not gritty. Does the job. This is a really affordable loose powder, that works well even on my sensitive skin. There is a light scent to the product, but I don't find it unpleasant. Love using this to set my makeup! This is the best loose powder I ever found for my sensitive skin. I've been using it for about the last 15 years. I was very upset to find out how scented it is. It gave me a sore throat and burning skin, and I don't have allergies. It was so strong that if I were to wear perfume at the same time as this makeup, you probably wouldn't be able to smell my perfume over it. It should say somewhere on it that it is extremely scented, I certainly wasn't expecting it since it was advertised as hypoallergenic. I don't want to use anything scented or that would irritate anything because I'm breast feeding and come in pretty close contact with my newborn. I'm probably going to write a letter to Cover Girl.